One could be forgiven for feeling a sense of déjà vu over the current scandal in which Fox News host Tucker Carlson is embroiled. 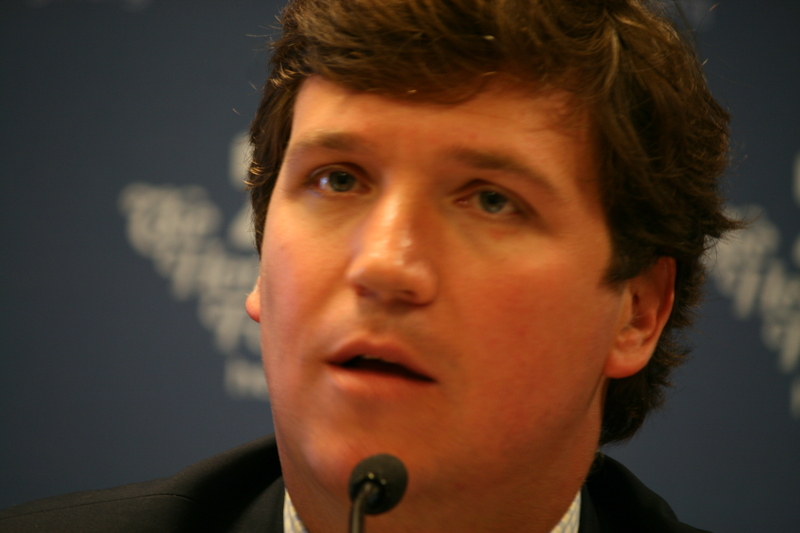 Similar to the current President of the United States, sound clips from around 10 years ago have recently surfaced where Carlson made misogynistic, racist, and downright unsettling comments. Yet Carlson has been defiant, claiming the videos are the work of a “mob” attempting to persecute him. Meanwhile, Fox News has maintained its silent support of Carlson. Tucker Carlson is no stranger to controversy – he’s made sexist comments before, and has had several interviews in which he certainly acted less than journalistic. Yet it isn’t this that makes him unique to Fox News — plenty of other hosts have been condemned for their language both on and off the show, such as Jeanine Pirro who is also currently under fire for questioning Representative Ilhan Omar’s loyalty to the United States due to her Muslim faith. It is instead Carlson’s recent willingness to buck the trend of the modern conservative movement in the United States by questioning whether capitalism is truly working for all Americans that makes him extremely interesting as a modern-day political figure. There is no doubt that Tucker’s previous comments are reprehensible and deserving of their condemnation. Yet, it is doubtful that the Fox News host is going to be fired any time soon, and it seems likely he will retain his post and continue to hold sway over millions of Americans. The United States is a nation where social media and the media bubble more than ever have encouraged voters in the US to stay within their own spheres of information, causing more hatred and polarization, and less good faith for voters on the other side of the aisle than any time since the civil war. The fact that an influential figure in the conservative movement has begun to challenge traditional orthodoxy is incredibly important, raising questions over whether Carlson represents a mere anomaly in the Republican party or is a herald of a shift in the oft-touted “Overton Window” among the nation’s conservatives and the nation in general. The mainstream conservative thought promoted by Ronald Reagan of free markets, small government, and social conservatism has been sacrosanct since his presidency in the 1980’s, and rarely ever challenged by Republicans. It is vital to analyze Carlson’s altering views, in spite of his controversial history, because his is one of the few conservative voices that has challenged this conservative consensus, and presents an opportunity for America to come to a better understanding of one another. A Man of the People or a Puppet of Murdoch? His change of heart appears to have been a slow one. A supporter of President George W. Bush, he claims he has since slowly changed his beliefs based on what has worked or not worked, with one major factor being his slow engagement with leftist concepts through books and websites such as Jacobin . Since then, Carlson has engaged with a variety of ideas, from Elizabeth Warren’s book on the Two-Income Trap, to discussing the universal basic income on his show with 2020 Presidential Candidate Andrew Yang, to calling for legislative action over the student debt crisis. Carlson is certainly no leftist. He maintains a deep hostility and cultural conservatism on issues such as climate change, immigration, and accusations of Russian interference in the 2016 election. And one can question how genuine his “man of the people” act is considering how he stated several years ago that he is”100% [Rupert] Murdoch’s b*tch” and an “out-of-the-closet elitist” (though those statements were presumably meant in jest). Indeed, Democrats and the left have been doubtful of his supposed change of heart, and his unearthed comments are unlikely to assuage their suspicions. Yet his break with America’s brand of traditional conservatism and classical liberalism does appear to be genuine because there has been no obvious benefit for him to use his platform to ask important questions rather than using it to be a partisan hack. Some could argue that his turn to populism is inspired by President Trump to acquire more viewers, yet this fails to explain why he’s been previously willing to criticize the President despite the fact Trump has an 86% approval rating among Republicans. One need only look at Sean Hannity’s success at being a mouthpiece for President Trump’s agenda to see that the obvious move for Fox News hosts is to walk the party line and garner high ratings from viewers. Thus, while Tucker Carlson clearly has a history of elitism and walking the Republican line, he clearly appears to have been affected by the rising populism of our era. Carlson sits down with TPUSA’s Charlie Kirk. Photo by Gage Skidmore. Flickr Creative Commons. A Voice in the Wilderness or a Symbol of a New Conservatism? Yet Carlson’s new politics begs two major questions: is he a sign of shifting political beliefs in the American electorate, and should Democrats and the left opt to engage with him? There is no clear polling evidence that Carlson has directly changed the views of his voters. One can find anecdotal evidence in comments on the Fox News website and his Youtube channel of conservatives being surprised to find they agree with Elizabeth Warren or Andrew Yang on certain issues, yet the polling on how viewers feel about his views is sorely lacking. Looking at his ratings, viewership has not appeared to have fallen since his change of heart or his recent controversy, instead actually rising in the past week. Thus it may be his audience is receptive to his ideas so long as it comes from Fox News. Another perspective could be that his populism is just as appealing as that of President Trump. President Trump was able to woo many rural voters by arguing traditionally Democratic positions on several issues such as infrastructure, trade, and government intervention in the opioid crisis (though his action on these issues since has been decidedly mixed). 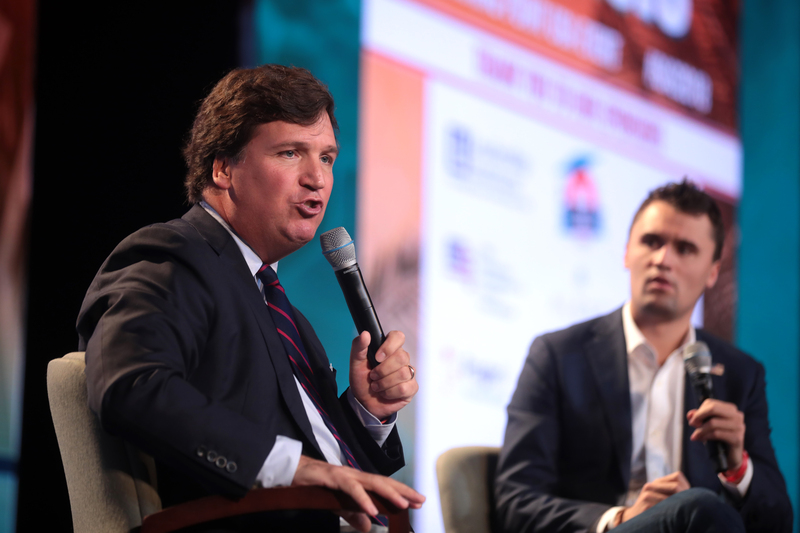 There thus could be an appetite for populism in the Republican parties base that Carlson has tapped into, allowing him to challenge capitalism so long as he remains a cultural conservative. 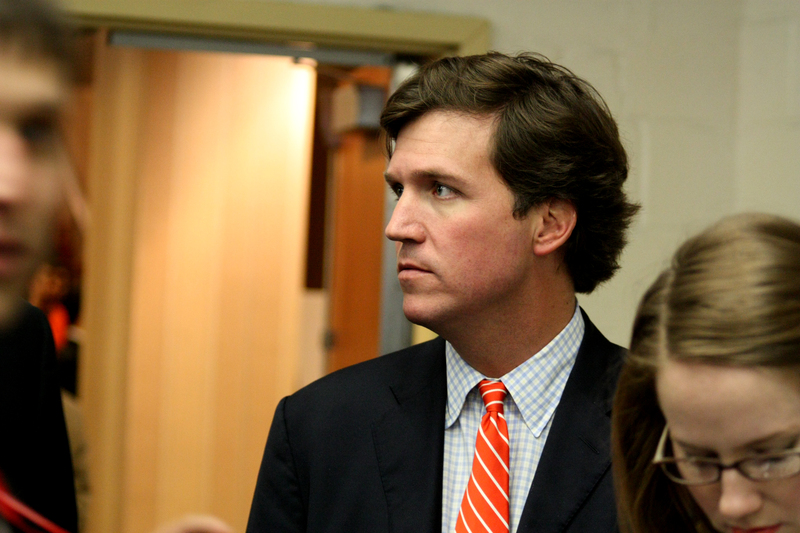 Carlson has remained quite orthodox in his socially conservative views, for example, and he could be viewed as having embraced a different form of populism. While based on anti-elitism, this form doesn’t seek to correct inequalities and implement economic proposals in a way that improves the lives of minorities. Regardless, it seems unlikely he’s changing many minds so much as appealing to populist leanings already present among conservatives, but it is difficult to tell. Given this analysis, is there any reason that Democrats ought to engage with the Fox News host? From a tactical perspective, not really. Any appearances on Fox News would hurt a 2020 Democratic candidate or an important Congressional figure like Alexandria Ocasio-Cortez or Speaker Pelosi in their respective primaries. Democrats have despised Fox News for years, and figures like AOC have been applauded for refusing to interact with a news network that they, fairly, consider biased against them. 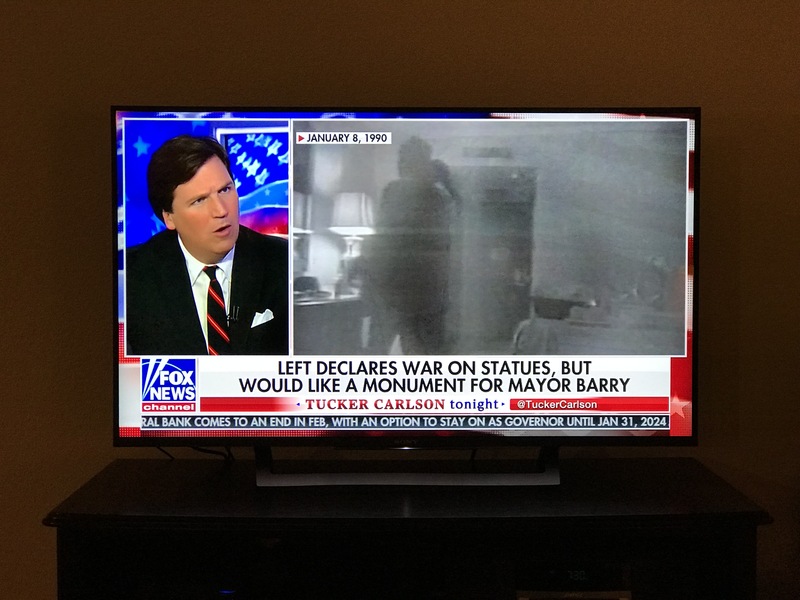 Image from Tucker Carlson Tonight. Photo by Steam Pipe. Flickr Creative Commons. Ultimately, America’s current divisions are unsustainable. While ambitious proposals such as Medicare For All and the Green New Deal are being debated among Democrats, they have little chance of passing without some form of consensus with Republicans. There is a troubling lack of agreement on basic issues such as the role that government ought to take, and if markets have been failing everyday Americans. Democracy is not just about one side winning and imposing its agenda on the other half of the country that has lost. This is the method President Trump has governed with, and it is deeply flawed due to his policies’ divisiveness and the fact he’s been unable to repeal Obamacare, build a wall, or renegotiate NAFTA despite Republicans previously dominating all three branches of government because of no Democratic support. There is a pressing need to be able to have actual conversations with Republicans if Democrats ever hope to actually implement an agenda that isn’t sabotaged by the next Republican administration. Tucker Carlson is many things. He has been accused of bigotry, sexism, elitism, and lying. Ideally, we would live in a world where these flaws don’t exist in our leaders, our news hosts, our colleagues or in our fellow voters. Yet the truth is Carlson is representative of the Republican Party’s conservative attitudes on social issues as a whole; most Republicans do hold deeply conservative views on immigration or feminism. Democrats aren’t going to breach the gap by discussing political issues with moderate never-Trumpers such as John Kasich, they’ll only be able to do so with Republicans who sometimes do have views that may be considered or are abhorrent. Democrats cannot and should not tolerate racism or sexism, yet these problems can only be eliminated by discussing these issues with actual racists and sexists. White nationalists aren’t reformed by legislation, they’re reformed by discussion and leniency. Reconciliation is a messy, frustrating business, one that requires interacting with people that do hold some abhorrent views. It is because Democrats currently share common ground with Tucker Carlson on economic issues that he, perhaps more than any other prominent Republican, could be a bridge to a less divided nation. Reaching out to Mr. Carlson and having a genuine, thoughtful conversation on the issues that plague America is a necessary step in the right direction. Max Clark is a Second Year student currently pursuing a degree in Political Science. He specializes in American, European and Asian politics, especially American polarization and governance. He is hoping to gain a deeper understanding of his country's current political turmoil by immersing himself in American politics.